Recovery is a very important factors in your training to reduce the risk of injury and to maximize the gains you are making. By "recovery," I don’t mean just laying around all day! Rest may be important but so is activity – for example, a walk – something light to keep your muscles active without putting extra stress on your body. It’s the little things like recovery, functional/strength training, warming up, and nutrition that can make you a better athlete and avoid injury. 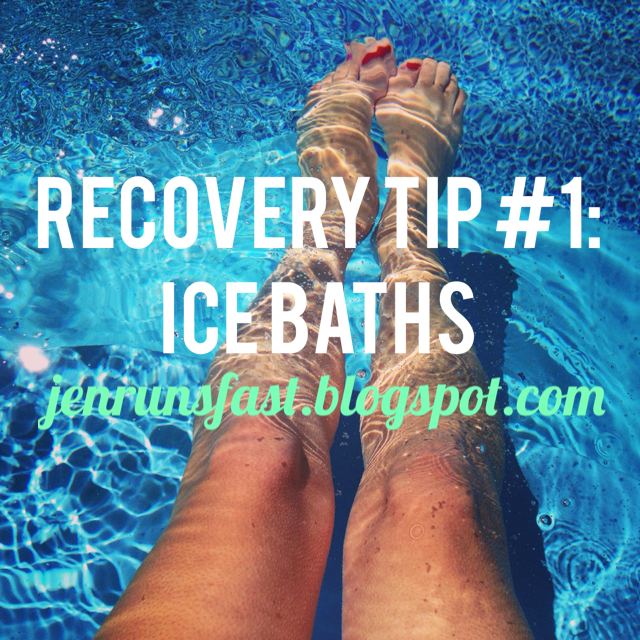 Ice baths are a great tool in recovery especially after a race, long run, or a tough workout. There is surprisingly not much research out there to support ice baths but ask any elite runner (like Meb Keflezighi and Usain Bolt, just to name a few...) and they 100% believe in the theory behind ice baths. Theory suggests that an intense run can cause trauma to your muscles resulting in micro-tears to the muscle fibers. It has been said that a 10-minute ice bath will reduce inflammation by constricting blood vessels to flush the metabolic waste out of your muscles. Once the muscles start warming up again, there is increased oxygen to the muscles to jump start recovery. Eliminate sore legs and fatigue while preparing the body for it’s next workout. Are you ready to give it a try? Cool temperatures between 50 and 60 degrees are ideal. During the spring and late fall, a non-heated pool or the ocean works great as an ice bath. When that is not an option, empty all the ice cube trays in your house into the bathtub or buy a bag of ice. Fill the tub with water and ice so that your legs and hips will be fully submerged. Grab a magazine or warm coffee and stay in the tub for 10-15 minutes. It may be painful at first but you’re legs will thank you!